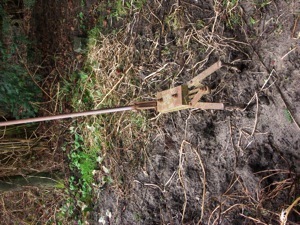 I just love old hand-tools, they are sturdy made and also fabricated for bigger gardens or works. 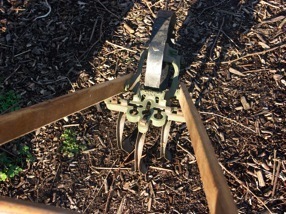 If you buy a sort of cultivator nowadays, it won’t take long before the teeth get damaged, broken, or even bent out of shape, especially if you work on clay or loam ground. 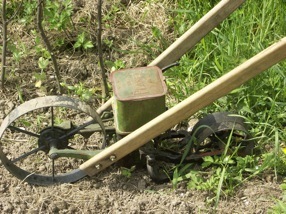 Old tools have already one or even more lives behind them, and they will -hopefully- have some more lives. And yes, they are heavier; and it took more iron to make them, but if you consider their lifetime, they can replace ten lighter-made modern tools. Above you can see a Planet Jr., at left with the cultivator assembly, at right all geared up for sowing! This is a wonderful tool for a bigger garden, I don’t use the sowing machine a lot, it’s easier to sow out small parts by hand, and it takes a few minutes to assemble. 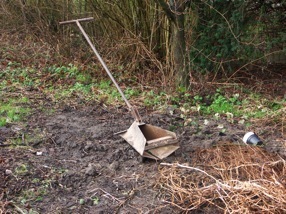 But it’s great if you have some sort of bigger space and you want to sow carrots, parsnips, or hundreds of other things. 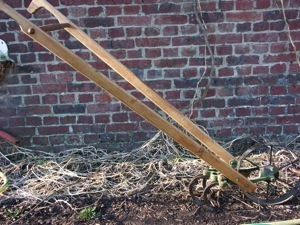 And up here is a sort of heavy hand -pulled cultivator, which is a wonder if you have some sort of bigger garden, it only turns over the top layer of the ground, which is ideal in spring, and you don’t have any deep going activities. 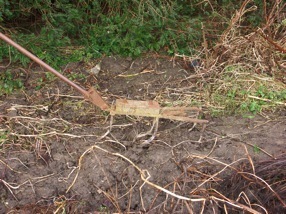 I do this in the heavier loamy soil over here, because this is a way to dry and warm up the soil. The next one is something special, I never ever saw anything like this. 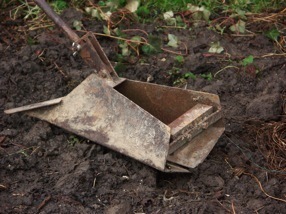 It’s made for earthing up potatoes, and , again , it’s wonderful for bigger gardens, it takes 30 minutes instead ot hours for earthing up some long lines of potatoes. I received these two from my good friend Alex, his dad used them for years. 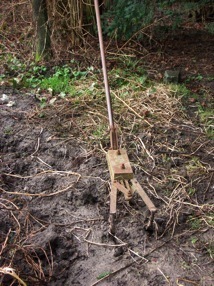 The potato upearther is a bit light for my soil, so I place a heavy stone in it, this work so much better.